September 3rd, 2014 – London and Tel Aviv –Civolution, the leading provider of technology and solutions for identifying, managing and monetizing content, and Applicaster, a cutting-edge provider of broadcast solutions for cross-screen TV experiences, have integrated technologies allowing broadcasters to launch second screen activities synced with content and ads being watched on TV, whether live or on-demand. The integrated solution enables broadcasters to offer true interactive TV shows and advertising campaigns that make use of the second screen functionality to engage viewers with content and brands, in a fun and rewarding way. The solution is based on the integration between Applicaster’s second screen suite and Civolution’s SyncNow® Automatic Content Recognition (ACR) technology. Applicaster maximizes second screen functionality to boost TV ratings, via a variety of tools. The company’s FEED module, part of the second screen suite, is an aggregated timeline of all show-associated broadcaster activities combined with social elements, such as viewer comments, photos, tweets, replies and more. FEED serves as a hub for broadcaster and social activities, retaining users within the broadcaster’s TV app domain, while offering exciting social TV elements to the viewer. The synchronization between the TV content and the app on the second screen relies on Civolution’s widely deployed SyncNow® ACR solution. 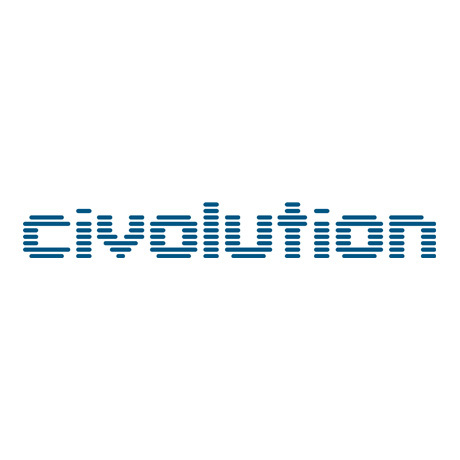 Civolution automatically identifies TV shows and commercials in real time. Upon identification of an ad or a specific content segment, the technology enables immediate synchronization and triggering of pre-determined content or activity. This means that within seconds of a commercial or a specific content segment starting on TV, a digital ad – or any other relevant engagement element – appears on the viewer’s second screen app. Broadcasters and their sales houses have the opportunity to upsell airing time, with engagement activated on the companion app. This integration also enables a live-like experience even for time-shifted TV shows – on demand or PVR playback – as all play along activities and social elements are triggered by the video content and continuously synced. “This successful integration with Civolution resolves two major challenges in relation to TV programming: recreating the live-feel to non-linear and long tail content, and retaining viewer attention and engagement levels during commercial breaks”, said Liron Deutsch, VP Corporate Development, Applicaster. “With the real time triggering of unique and creative brand and content related activities – broadcasters, content owners and brands can bridge the attention gap and offer continuous cross-platform engagement and meaningful second screen activities.” she concluded. The integrated solution will be presented at the IBC show, in Amsterdam, 12-16 September, Civolution booth Hall2, B41 and at MIPCOM, in Cannes, October 13-16.